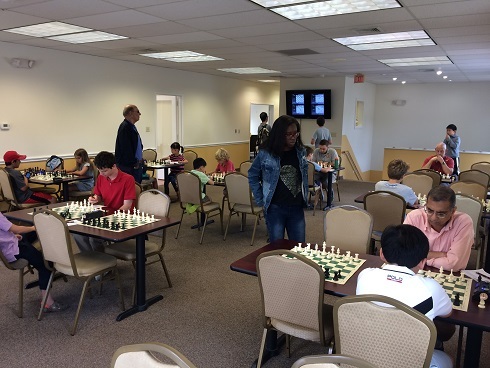 This week's Saturday G/45 Quads hosted 26 total players making up six sections, one of which was a six-player Swiss. In the first section, Leif Pressman earned first place with a perfect 3/3 total points! 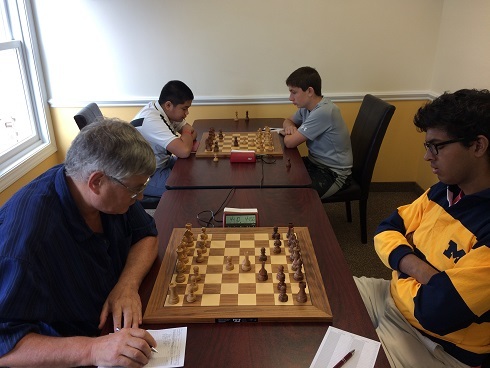 Luis-Jaime Casenas and Aman Karunakaran, of the second section, tied for first place with 2/3 total points each. The third section, saw a three-way tie between Rueben Oniell, Sakura Laporte and Xan Meister, each with 2/3 total points! In the fourth section, Luis-Joshua Casenas took home the victory with a perfect 3/3 total points! 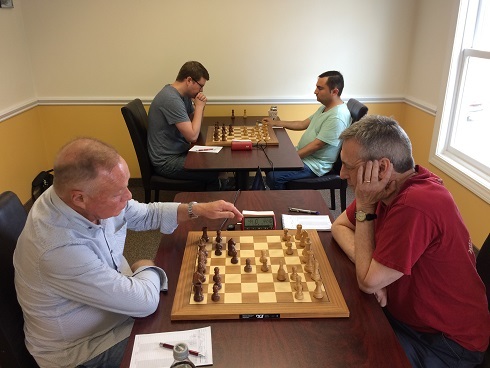 The fifth section, also saw a tree-way tie between Thomas Ewald, Greg Benson, and David Linnett, each with 2/3 total points. Finally, in the six-player Swiss, Annie Ulmer impressed as she earned a perfect 3/3 total points to secure her top spot. Congratulations to the winners and thank you to all participants! We hope to see you soon!